Tips for Booking Your Wedding Videographer! Many of our creative team members have had the pleasure of working with Jen Allen, owner of Wildwood Media. You may remember this post from the day Candace (Mingle) and Bethany (Joy Unscripted) worked with Jen on branding videos, Kathy (Kathy Beaver Photography) has teamed up with Jen many times as a wedding photographer… AND she made our amazing Engaged Birthday Party video [embedded below]! What we all know? 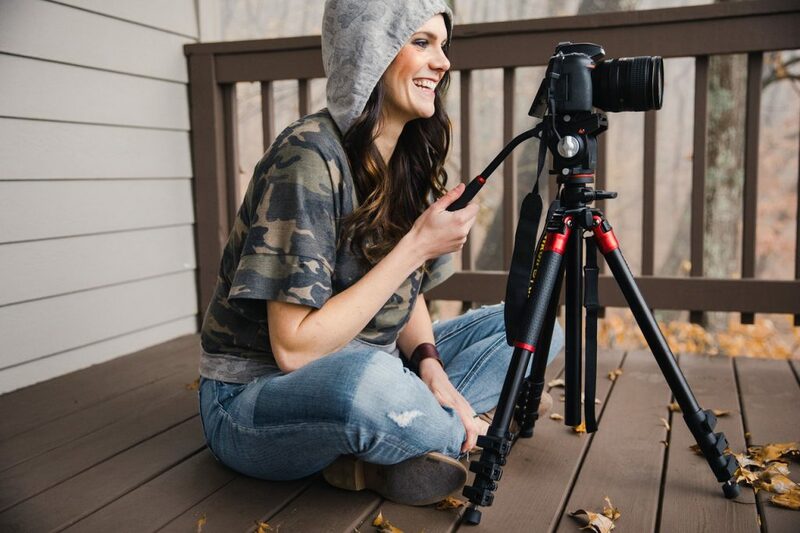 Wildwood Media offers incredible videography services and we are THRILLED to have her on our Engaged Asheville team! Wedding videography has quickly become one of the core wedding services couples look to book when planning their big day. Every wedding planning tool, from the paper-bound variety to the online checklist, includes a section for a videographer. Yet, some couples aren’t convinced they need to spend precious dollars on this service, and others still aren’t sure what they’ll get out of it. Won’t Uncle Fred’s mid-nineties camcorder set up on a tri-pod in the back of the church do the same thing? Or an iPhone? Your wedding video is like a mini-movie of your dream day; it will be the window through which you can walk to relive the incredible feeling of your wedding day. To hear how loud everyone cheered when the minister pronounced you officially married. To catch the tremor in your dad’s voice as he delivered his wedding toast. To watch you disappear into your newlywed’s eyes as you slow danced to your song. Photos do a wonderful job of telling the story of your wedding day, freezing moments in time in a way video can’t always match. But to watch your special day come alive again… now that’s an experience every single bride and groom deserve!! What is the point of having my wedding filmed when I already have a photographer? What should I budget for a videographer? We think that first one has been tackled above… but to recap, a wedding video allows you to truly experience the day as you lived it, and to even see it again through fresh eyes! Sometimes couples are so emotional on their wedding day that they wish they could do it all over again without all the nerves — a wedding video comes pretty close to that! That being said, it takes some serious hours of work time on your actual wedding day, plus more time afterwards in the editing process to put together a professional wedding video. While every videographer charges their own rates, most will fall in the range of $1500-3000. 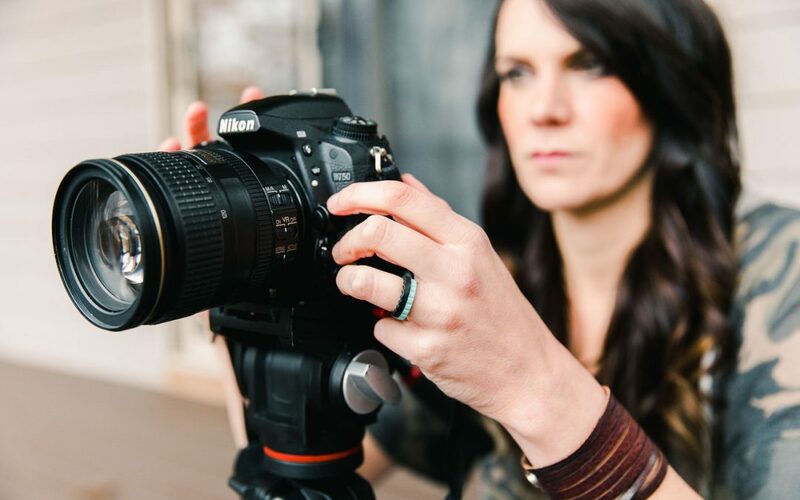 So You Want a Videographer for Your Big Day… Now What? You’ve made a great choice! You know you want a videographer for your wedding, but now what? How do you find one? How do you know who meshes well with what you’re dreaming of? Start with this comprehensive list of questions to not only think about yourself, but ask your potential videographer! What exactly do you cover? Do you film everything on our wedding day? How many hours of coverage do you offer? Can we customize our package to get everything we want covered? How will you coordinate filming our wedding with our photographer and other vendors? Can everyone fit and not interfere with one another? Do you offer drone coverage? Are you the videographer who will actually be filming our wedding or will it be someone else I haven’t met? What is your video style — cinematic or documentary? What is the difference? What type of video or film format do you use? Do you offer HD-ready video? How many cameras and operators will be needed to film the ceremony and reception? How many other weddings or events will you shoot on my wedding day? Do you require a deposit? When is the remaining balance due? Is there flexibility in our ‘start’ and ‘end’ times on the day of the wedding? Do you use additional lights during the reception? Will they be unobtrusive? Can the lights be dimmed? Is there a charge for staying later in the evening if something important comes up? Do you have backup equipment in case of gear failure? Are my guests going to be aware you’re there? What is your process for backing up the footage immediately after the wedding? How long will it take to edit my wedding video? How long will the final video run? Is the final video delivered on a DVD, Blu-ray, USB, or online? Will final video be in HD or possibly 4K? How many copies will we get? Do you allow a preview before final delivery? Can we make changes to the film once we’ve seen it for the first time? Does the final video use dialogue from the wedding day or is it more of a music video? Can we select the music for the wedding video? Can you use commercial/popular music in our wedding video? Can you keep the film private for only our families to see? If you ask even a small portion of these questions, your videographer will be impressed to know you are so well-versed in their process and so on top of your bridal planning game! Jen lives and works with her husband, Brian, and they share two beautiful daughters, Piper and Londyn. She’s been doing videography for thirteen years and is just as passionate now as she’s ever been! Jen relishes getting to know her clients and diving into what they envision for their dream day. She loves to know exactly what they see in their minds eye so she can capture it with her camera! Here are a few tidbits about how Jen operates and what she offers! Wildwood Media is a fully-insured videography service located in the Asheville, NC area. Jen works with all of her couples to customize a package that balances their needs, timeline, and budget. She can shoot in either a cinematic or documentary style, depending on the couple’s preference. She offers drone coverage, perfect for capturing the local majestic mountain scenery. All wedding videos are delivered in HD format on a USB drive with an auxiliary online digital copy. Her biggest asset is her ability to blend in! Her clients always compliment how unobtrusive she was during the wedding festivities and marvel at how much detailed footage she gets without being seen!